Levendia-x believes in the preservation and celebration of Hellenic traditions. We inspire generations through our presentation of traditional Greek dance. 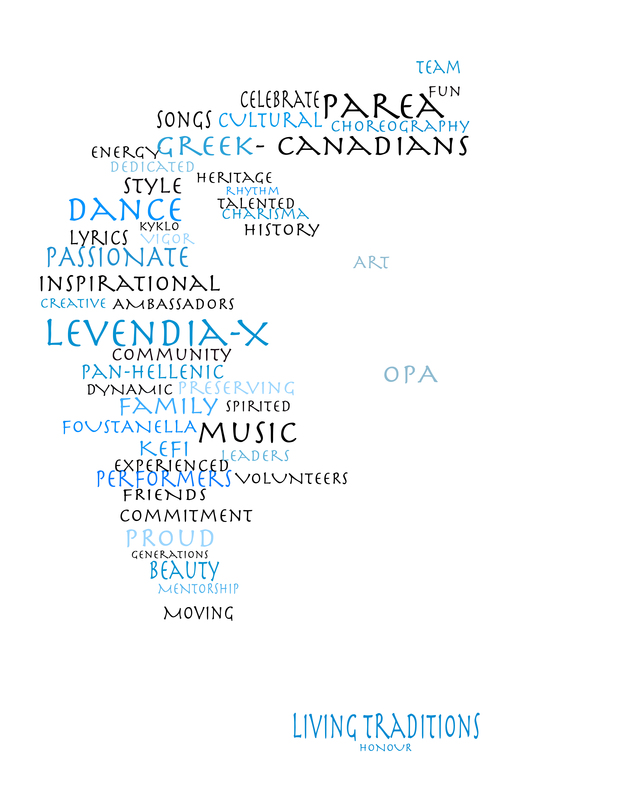 Levendia-X Hellenic Folklore Association (Levendia-X) is an independent, professional dance group that was established in 1996 with the objective of preserving and cultivating Hellenic culture, focusing on Greek traditional and modern dance. Since its inception, Levendia-X has represented Greek tradition at over 100 different venues in the province, nationally and internationally. Renowned for our artistic spirit, and educational and cultural support of the Greek community, Levendia-X recognizes the importance of maintaining the Greek traditions many members have been raised with for the enjoyment of generations to come. Under the artistic direction of Roula Maragos, who has been studying and performing the art of Greek dance for over 20 years, the group has won acclaim for its dynamic performances and its artistic spirit.